A veterinarian’s cautionary tale about how feeding bones to your dog means you’re putting a life at risk. Just say no to bones! Last Sunday, I was outside the hospital (which is in my backyard) tending to the early-spring shrubs in the oh-so-bizarre warmth of 80 degrees in March in New England. The peace and privacy that is a Sunday, the only day of the week our hospital is closed, was broken by a car zooming up the driveway, wind-surfing Brittany Spaniel bobbing out the back window. For a moment, I thought it might be Jessie’s new owners bringing her back for a visit unannounced. But this dog could see me. Does it look like we’re open? “It’s Sunday,” I say. Deep breath. Compassion. Understanding. “Do you have an emergency?” I say. 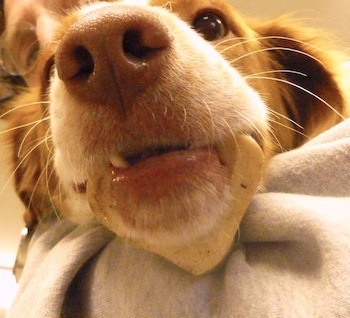 “My dog has a bone stuck in her mouth.” The young Brittany in the backseat looks like she is smiling because indeed, she has a beef marrow bone stuck on her lower jaw. My husband, Andy, opens the hospital for them and takes down their information as I begin to find the tools to try and remove the bone jammed around the poor dog’s mandible. “Do you have a vet?” Andy asks. “Oh yes, we have vet.” I see the rabies tag on Bella, a 9-month-old Brittany pup, from a hospital closer to Bella’s home. Maybe they did a drive-by there as well and found nobody in. Why did they drive 40 minutes to see me? I think they are friends of Jessie’s. FYI, these drive-bys happen a lot, and I am always amazed that clients haven’t called first to make sure I’m at the hospital. I realize my clients know I live at my practice. But don’t I ever go, say, to the supermarket? Out for lunch? I think they think I have food air-lifted in so I never have to leave the premises. If you have an emergency, unless you know you are going to a 24-hour emergency vet, or are going to your own vet during regular hours, always call first. The few minutes it takes to beep your vet or get instructions on where to take your pet can be, in some instances, life-saving. In the case of Bella, I didn’t ask anymore questions. I was there. The dog was there. I could handle this without a full staff. Get the bone removed from the poor dog’s mouth and send her on her way! With a Knick Knack Paddywack, Give the Dog a Bone… Really? Circular bones caught around lower jaws, and sticks or bones lodged in the roof of a dog’s mouth, are very common emergencies. I don’t recommend giving dogs bones, for this and many other reasons. If your dog has been chewing on a foreign object and suddenly begins pawing at its mouth with both front paws, try to carefully open and look at the roof of the mouth. If you see the object wedged there, try carefully to extricate it with pliers or forceps. If you can’t dislodge it, get to the vet (call first!). 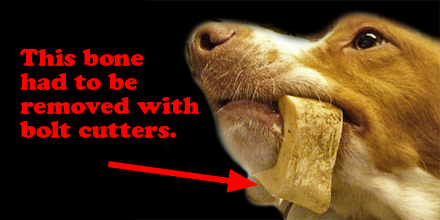 When you see a dog with a marrow bone stuck on its face, your first thought is, How is that possible? How did that bone get stuck behind the lower canines?! Well, it happens, and you usually need a large implement like a bolt cutter to split the bone and remove it. In adorable Bella’s case, it was so tight against the jaw and she was such a gregarious but stressed puppy, we needed a little drug help before removing the bone. I sent Mr. and Mrs. Drive-by out for a drive-through burger. We sedated Bella just enough to get the trusty bolt cutters between the jaw and the bone and, voila, Bella no longer looked like she had selected bad body jewelry at the tattoo parlor. She left the hospital in about an hour, running, jumping, eating. The bone was nothing more than a folly of youth. These marrow bones are very hard to remove by yourself. You can hurt the jaw or the teeth if you try to pull it off (usually impossible). 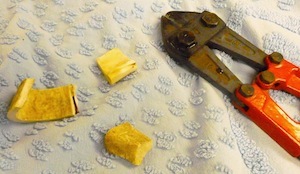 Trying to cut the bone with bolt cutters is dangerous and may require some anesthesia in order to do it safely. Seriously, folks, BONES ARE A BAD IDEA. Poor Bella looked like she had selected bad body jewelry at a tattoo parlor. I probably see an obvious bone emergency every one to two months, and that’s not counting the HGEs (hemorrhagic gastroenteritis), the severe vomiting/diarrhea cases associated with bone chewing, and, unfortunately, the fatal or almost fatal emergencies that occur when bones become lodged in the esophagus or perforate an organ. These things really do happen. Recently, I heard of a colleague who was presented with a dead Frenchie who had suffocated on a bone lodged in her trachea. Don’t give bones to brachycephalic breeds. These dogs can barely pass food down that throat and breathe, let alone swallow a bone. Last month, a 13-year-old German Shepherd that had recently survived a massive splenectomy surgery I performed (the splenic tumor weighed 9 pounds!) got into the family trash and consumed two large buckets of discarded chicken bones. I guess the loss of a spleen didn’t affect her appetite! This dog became deathly sick but survived. The radiographs of the stomach packed with pounds of bones were astonishing. She survived with a lot of veterinary supportive care, luck and a little help from that Guardian Angel of Stupid Dogs who lives in the sky. If your dog eats a small bone or a piece of bone, your dog will usually pass it without a problem. But watch for signs of anorexia, vomiting, etc., and check with your vet if you know your dog consumed bones. If your case is anything like the case of my shepherd who ate the remains of KFC party buckets, you’ve probably got an emergency on your hands. Ah, the cupboard was bare! Yay for Mother Hubbard’s doggie. Right. The majority of dogs do okay with the occasional bone treat. But if you give bones as a treat or as a chew aid, you are taking a chance on causing a complication. I almost lost a Boston Terrier to a Nylabone ingestion, and these are generally thought to be very safe. This Boston, however, was actually able to bite off a 2-inch section of the Nylabone and swallow it whole. It became lodged in her intestine and obstructed her. She made it, but suffered a big ordeal before coming out on the other (happy) side. I stick my foot in controversy once again… And BARF! A lot of research is being done about raw diets (BARF is an acronym for Bones And Raw Food), and more still needs to be done. But veterinarians are seeing more and more problems associated with pathogens from raw diets, unbalanced nutrition and damage to the GI tract because of raw diets and bones in raw diets. There is a lot of hype by some media-happy veterinarians, breeders and would-be experts about the fabulous benefits of raw diets. These benefits remain unproven. Research is ongoing. I look forward to more solid evidence about the pros and cons of many diets. But there are certain risks associated with raw diets that you should be aware of. 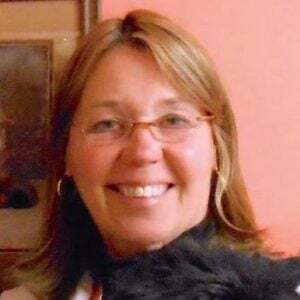 There is wide agreement about this in the international veterinary community, including among many alternative and homeopathic veterinary experts. Mild to serious infection and illness from GI pathogens such as salmonella, E. coli and campylobacter. Damage to the GI tract by bones causing anything from mild GI signs to transient bloody diarrhea to death. Creating a risk to their humans who can contract serious to deadly infection from salmonella, etc. However, Nature’s Variety raw foods meet the AAFCO’s standards for a totally balanced pet diet. This company also puts its diet through food trials and tests batches for pathogens. Raw foods from a few other companies also meet AAFCO standards, including Bravo! Balance Raw Food Diet, Primal Pet Foods and Steve’s Real Food for Dogs. Human medicine dictates that therapy dogs traveling to nursing homes, hospitals, etc. should not be fed raw food because of the danger to the human patients. Legal experts tell veterinarians not to sell raw diets because the veterinarian could be implicated if a human in the household develops salmonella, etc. The overwhelming medical opinion recommends that you never feed a raw diet to a pet in a household containing children under the age of 12. I was brought up in a very carnivorous household, eating very rare meat from an early age. If I choose to continue to eat under-cooked meat, which is considered a health risk, at least I know what I am doing and, with luck, would be aware of and treat a severe GI infection before it is too late. But you may not realize your pet is beginning to suffer from serious GI disease. Maybe the pet isn’t acting sick and you miss the warning signs. These pathogens can travel quickly. Your dog may become very ill in a short time. When I adopted the now famous hound dog named Elvis, I had him in the house about a month when I threw him a bone. This usually mild-mannered dog was happily gnawing away on the bone on the ugly shag rug when I noticed him glare at one of my twin toddlers in the room. I approached to take the bone away from Elvis. Mild hound dog — now transformed into Mighty Warrior Dog because of the bone — almost took my hand off. Let’s just say I became master over dog and bone, and won. That was Elvis’ short sojourn into bone heaven. He never growled or threatened me again. Or anyone else. Chalk up one more reason for leaving the bones at the butcher! Don’t enforce guarding behavior of any kind.